To work with Town Officials, Business, and Residents to increase annual and perennial plantings in the area through planters and permanent planting beds. To develop a Volunteer group to provide periodic upkeep of commercial & residential properties, including weeding, mulching, pruning/trimming, planting, garbage pickup, light maintenance, etc. To work with Town Officials, local Contractors and Design Professionals to provide assistance with larger maintenance, renovation and upkeep projects. OUR MEETINGS are one Thursday a Month at 127 Park Road, West Hartford, CT at 4:30pm-5:30pm. See event calendar for dates. January and August : No Meeting. Part of our mission is to encourage a cleaner neighborhood. One way to do this is to bring a bag with you on your walks and pick up any trash you see. It's all about pitching in and helping out. NEXT WALK April 27,2019 @8:45am, Meet at 244 Park Road. ANNUAL PLANTER AND BANNER PROGRAM- FUNDRAISING STARTS IN MARCH. 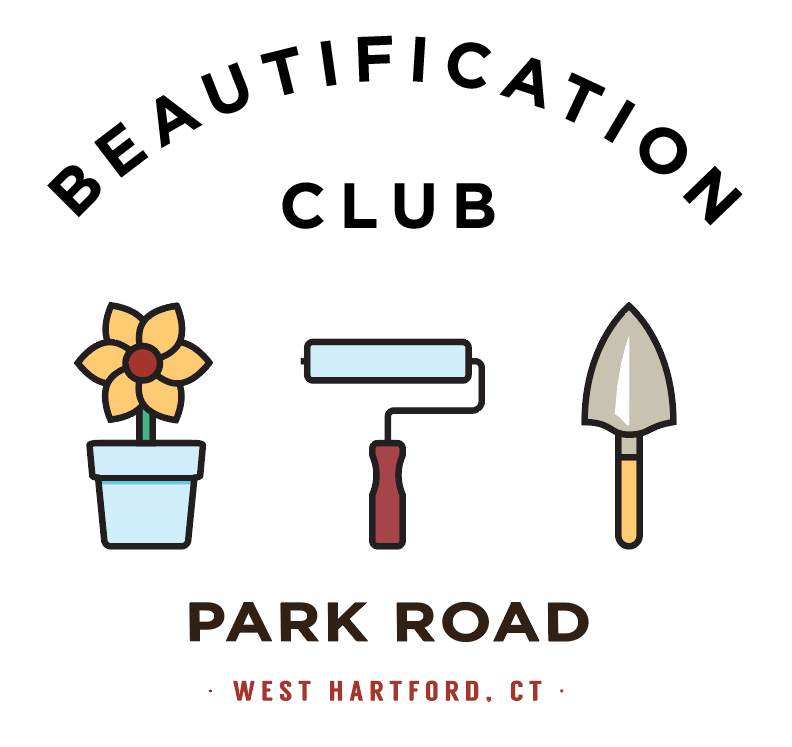 Part of our mission is to encourage BEAUTY in the neighborhood. One way to do this is to Sponsor a Seasonal Planter, Sponsor a Banner as the Town will be suppling the Brackets and or donate monies toward the planters or banner Program. All Donations Happily Accepted. We are currently working on a banner contest with the Elementary Schools and PTO. Banners are planned for 2019. WANT TO VOLUNTEER or just find out more?